Andres Roots Roundabout: "Winter" #6 In The French Blues Airplay Charts! "Winter" #6 In The French Blues Airplay Charts! 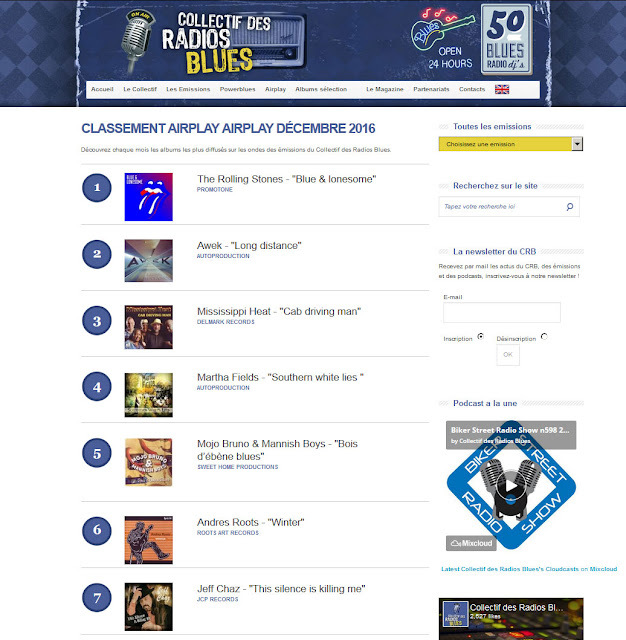 The Collectif des Radios Blues airplay charts for December 2016 have just been published, and "Winter" is in the Top Ten in the French-speaking territories as well!